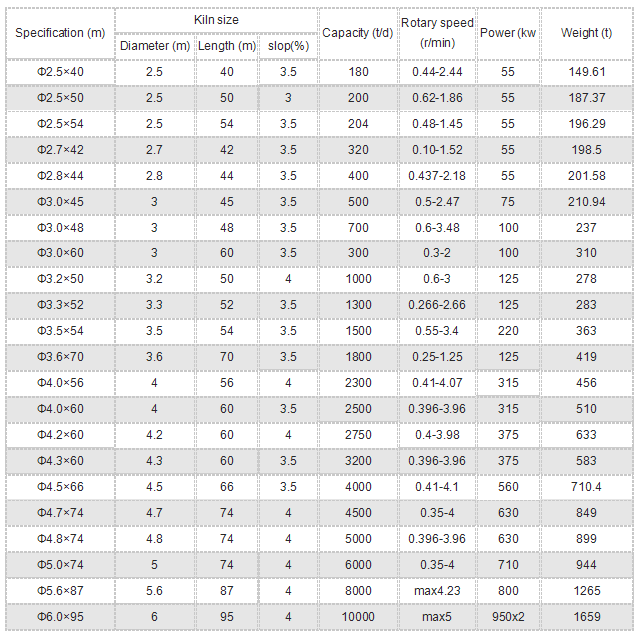 1.In the building materials industry, in addition to calcined cement clinker, the rotary kiln is also used for calcining clay, limestone and slag drying; in the production of refractory materials, the rotary kiln is used to calcine the raw materials to make the dimensional stability and strength increase. 2.In the beneficiation process, the lean kiln is used to magnetize the lean iron ore to change the original weak magnetic properties of the ore to strong magnetic properties to facilitate magnetic separation. 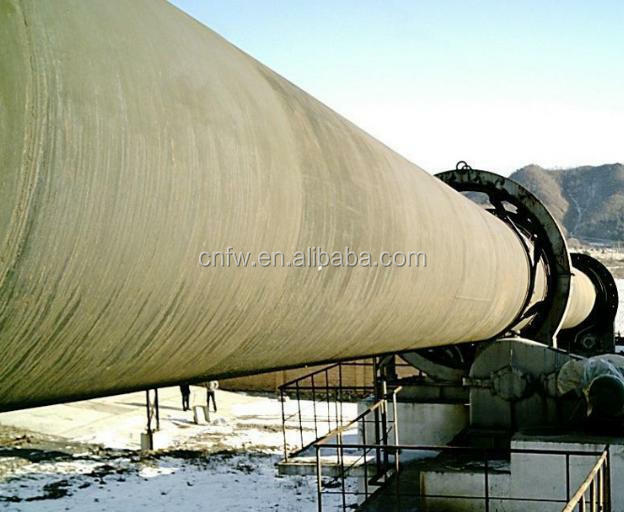 3.In the chemical industry, rotary kiln is used to produce soda, calcined phosphate fertilizer and barium sulfide. 4.The whole production process of cement is summarized as "two grinding and one burning", in which "one burning" is the process of burning raw materials prepared by grinding and burning into clinker under the high temperature of rotary kiln. 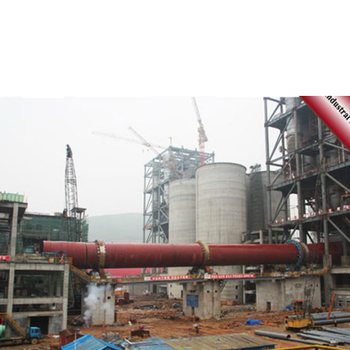 Therefore, the rotary kiln is the main engine in cement production, commonly known as the "heart" of cement plants. 5.In environmental protection, developed countries in the world have used cement kilns to burn hazardous waste and garbage for more than 20 years. This not only reduces waste and harmless waste, but also uses waste as fuel to save coal powder. According to the different heating methods, it is divided into two categories: internal heating and external heating. The material of the internal heating rotary kiln is in direct contact with the flame and the flue gas,and the refractory brick is built on the inner wall of the cylinder, and the head and tail lining is lining for high-strength wear-resistant castable, between the head tail cover and cylinder body is a flexible seal that completely eliminates dust and material leakage. The material of the externally heated rotary kiln is not in direct contact with the flame and the flue gas. The heat source is between the heating furnace and the cylinder, and the material is heated by the heat transfer of the heat-resistant steel cylinder wall. The lining of the heating furnace is refractory fiber, which can save energy and reduce consumption. 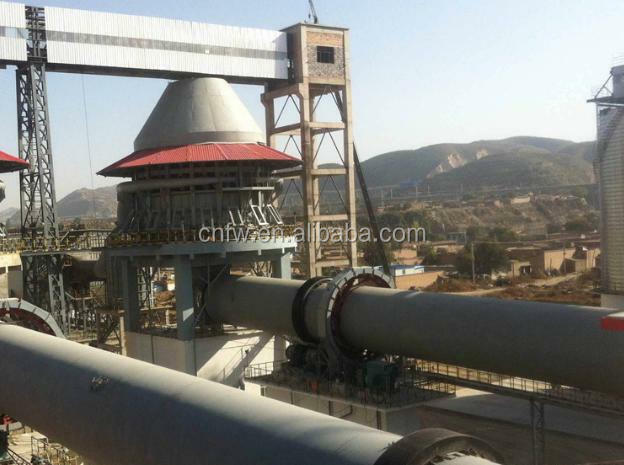 1.The rotary kiln has a solid structure, stable operation and high quality of the kiln product. 3. The kiln tail seal is made of steel sheet and graphite flexible seal. The device is easy to install , safe to use and reliable. 4. Rotary kiln calcination system equipment through technological innovation, using the most advanced hydraulic gear wheel device at home and abroad, using high-precision metering piston pump and speed control valve and contact graphite block sealing device and other domestic advanced technology, Stable performance, high output and low energy consumption. 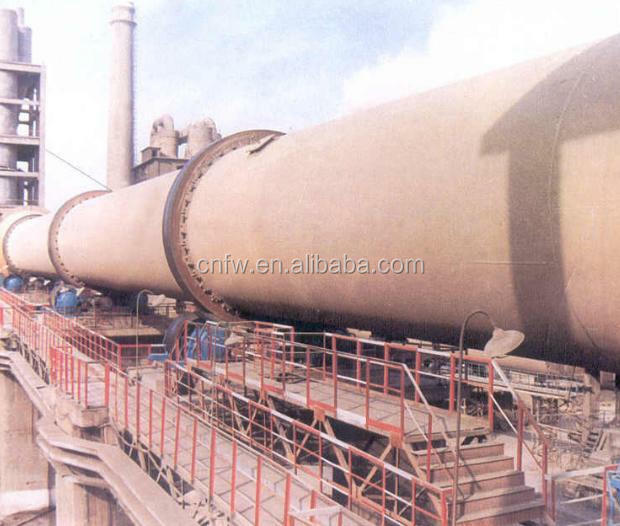 During the working process of the rotary kiln, the raw meal powder is fed into the kiln cylinder from the high-end discharge pipe of the kiln tail cylinder. Due to the inclination and slow rotation of the kiln cylinder, the material is produced to roll in the circumferential direction. The composite movement of the axial direction from the high temperature to the low end, the raw material in the kiln through decomposition, firing and other processes, after burning cement clinker, discharged from the bottom end of the kiln cylinder, into the cooling machine. The fuel is injected from the kiln head, and is burned in the kiln. The heat is heated to heat the raw material, so that the raw material is calcined into clinker. The hot air formed during the exchange with the material enters the kiln system with the kiln feed end, and finally The chimney is discharged into the atmosphere.